you will be ravished ... Not to mention the ideal location, MedCezir is really worth a visit thank to its hosting quality. 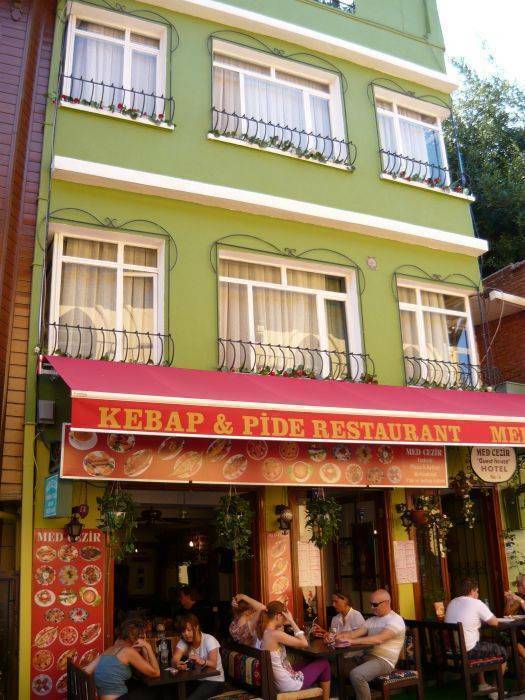 Both staff and management are lovely and ready to help you have a nice stay in Istambul. 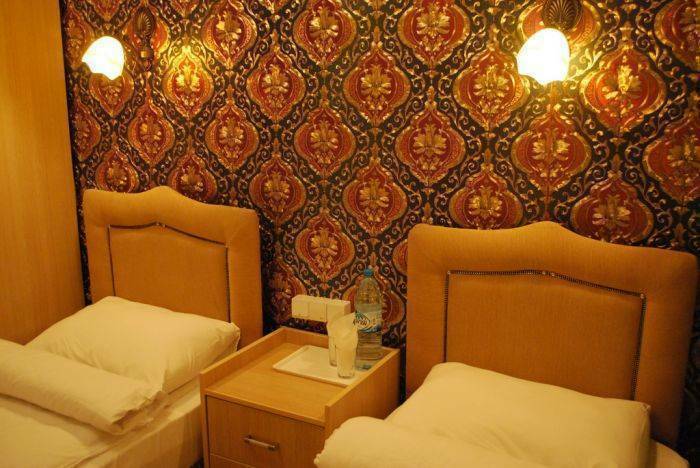 Hotel Med Cezir is a clean and comfortable hotel situated in Sultanahmet just a few minutes walk from Hagia Sophia, the Museum of Turkish and Islamic Art, the Blue Mosque, the Grand Bazaar, Topkapi Palace, the Underground Cistern, the Mosaic Museum and the Spice Bazaar. 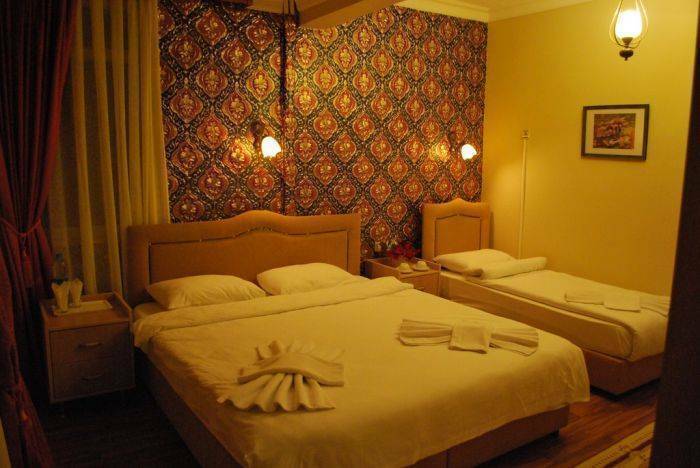 Hotel Med Cezir has comfortable and well appointed guest rooms with or without a private bathroom. The rooms feature comfortable beds and a hair dryer. 24 hour room service is available. Our staff are committed to providing the highest standards of cleanliness and concern for your comfort. Our licensed restaurant serves breakfast, lunch and evening meals to residents and non-residents. With excellent, traditional and European food a well stocked bar, breathtaking views and impeccable, friendly service your meals will be occasions to remember. We are happy to prepare meals on request that do not appear on our regular menu to accommodate guests with dietary restrictions. Offering exceptional views of the Blue Mosque and Hagia Sophia, the terrace bar is the perfect place for a drink in the evening. 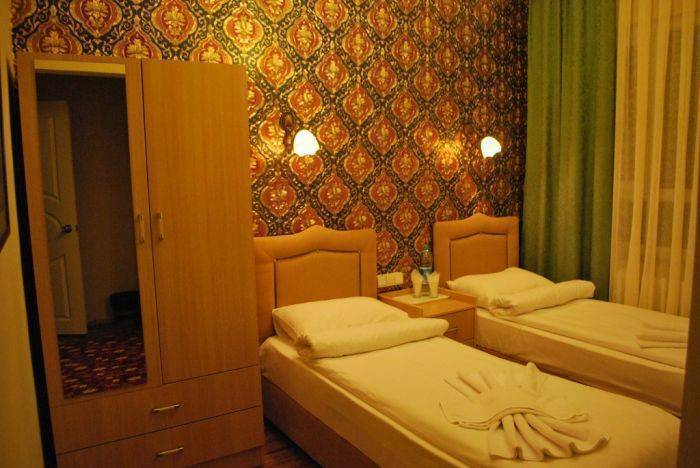 As you would expect in a small family hotel, staff are friendly, cheerful and trustworthy. They will be happy to tell you all about the history and attractions of Istanbul. Erol Canpolat is the owner of the hotel and concerns himself with every detail. He can speak five languages to assist his guests. He is also an artist and you can see his work displayed ın the hotel. hotel situated in Sultanahmet just a few minutes walk from Hagia Sophia, the Museum of Turkish and Islamic Art, the Blue Mosque, the Grand Bazaar, Topkapi Palace, the Underground Cistern, the Mosaic Museum and the Spice Bazaar.